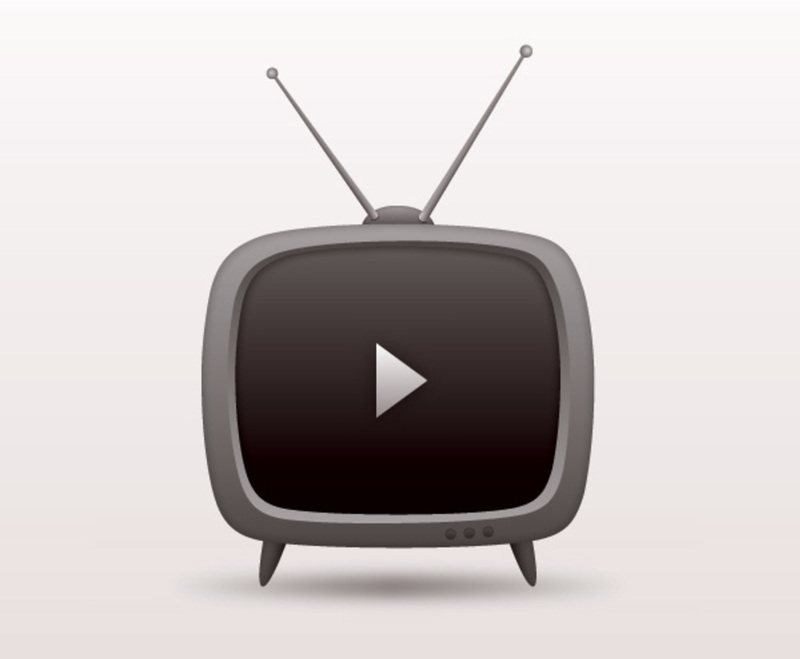 This vintage television graphic is a simple and timelessly identifiable icon, updated for new media with a digital "play" button. The cute, retro-inspired TV uses several shades of gray with a light gradient, and a shadow under the set adds to the overall depth of the image. Antenna jut out at a slightly odd angle. The simple color scheme works well in a variety of different settings, and the "play" button compels your audience to click through. It's a subtle way to deliver a strong call to action, particularly on a website with embedded video content.